Enjoy hours of fun in the shade with the CORE 13' x 13' Instant Canopy. This large outdoor canopy provides 169 square-feet of cooling shade anywhere in just minutes with 50+ UV protection. The canopy features fully-taped seams to protect you from moisture and a large roof vent for added ventilation. Oversized pinch-free buttons make setup carefree. Simply extend the one-piece steel frame, attach the roof vent and canopy top, and extend the legs. Adjust the shade as needed throughout the day with the three leg height adjustments. Take the CORE Instant Canopy anywhere you go with the included ground stakes, tie downs, and wheeled carrying bag. 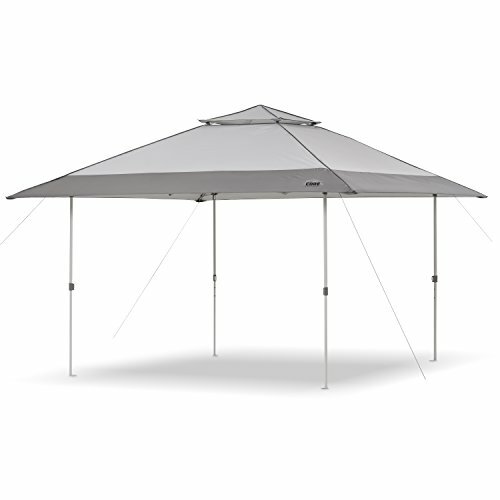 The 13' x 13' Instant Canopy is great for camping, the backyard, patio, picnics, festivals and much more. If you have any questions about this product by CORE, contact us by completing and submitting the form below. If you are looking for a specif part number, please include it with your message.